Get downloads for Lean Six Sigma for Services, a powerful process improvement and problem solving methodology. 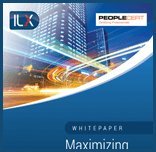 Download an overview of each training level, including what each course covers and any prerequisites. We also have a training roadmap which shows the order you can take the courses. All our PDFs here are available for free.